Hi, I’m a senior at rosaty and I just wanted to thank you for writing this article. You are so welcome, Maura! It really is an amazing performance. Have a wonderful rest of your senior year and thank you for taking the time to comment! What fun for these kids! Love the video. They do have a lot of fun. 🙂 Not sure if you could tell but the girls were on campus early in the moring (4AM exactly) to put up their posters. Ahhh…to have that much energy again! Thanks for the article. My daughter is a freshman at Rosary and loves it. 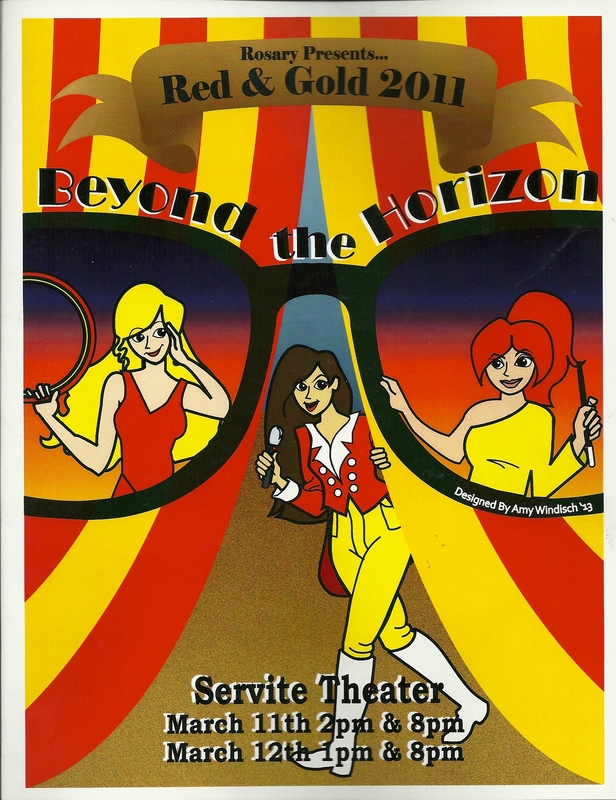 Red & Gold was a fantastic and fun experience for the girls and for the audience. This amazing team building experience will serve them well in the future, and the memories will last a lifetime. Thank you, Ana, for stopping by and commenting. High School can be such a memorable time in a young person’s life. I am so glad that your daughter is enjoying it. My connection, to Rosary, is through my niece, who loved Rosary. She has now moved on to college life but still stays in close contact with her “Royal” sisters. You are so right about the lessons and the memories!